At USA Automotive, we encourage regular maintenance service for your vehicle, including wheel alignment service. Regular maintenance is important to help avoid costly repairs later on, and misalignment is something that occurs fairly often with most vehicles. Your vehicle can become misaligned from various causes, but one of the main causes are potholes, bumpy roads, and minor collisions. Typically, the first sign that your vehicle is misaligned is uneven tread on your tires, and some drivers will also noticed their vehicle pulling strongly to either the right or the left. 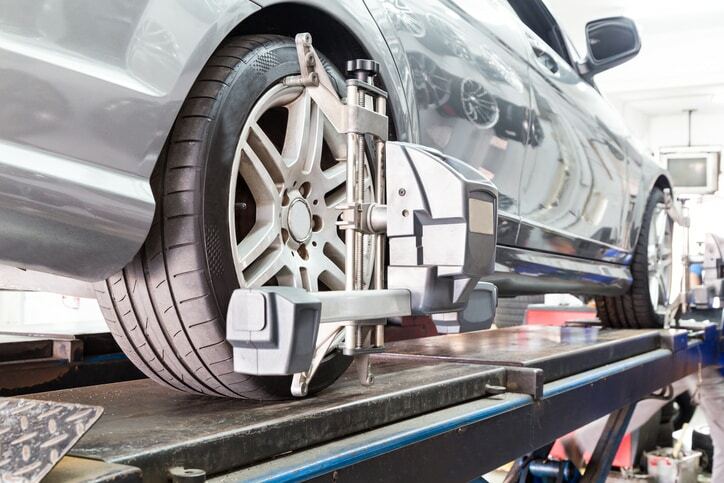 The Raleigh area is known for having some older roads and heavy traffic, so chances are your vehicle has needed an alignment service at some point. Once you notice either of these symptoms, it is important to bring your vehicle to our shop for a wheel alignment. Choosing to ignore a misaligned vehicle can result in more extensive repairs and services, including having to replace your tires sooner due to uneven wear. Our technicians are ASE Certified, which means we are expertly trained to provide your car, truck, van, crossover, or SUV with the most accurate service possible. The same is true when it comes to our wheel alignment service. We use state-of-the-art tools and equipment to precisely align your vehicle based on the manufacturer standards. Whether you have an all-wheel drive or front-wheel drive vehicle and require a four-wheel alignment, or if your vehicle just need a front-end alignment, we will get the job done right the first time. That’s why we offer an industry-leading warranty of 3 years/36,000 miles – we believe in the quality of our work and want you to have confidence in our skills as well. We understand that your vehicle is an investment, and it is our job to help you keep it running like new for as long as possible. With over 30 years of providing high quality service, you can feel confident that you are not only leaving your vehicle in good hands, but in the hands of experts. 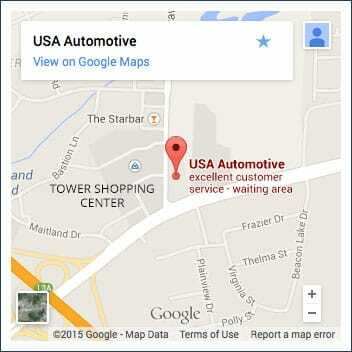 If you are looking for the best automotive service shop in the Triangle area, look no further than USA Automotive! We are dedicated to providing you the best wheel alignment and any other automotive services your vehicle may need. We know that bringing your car in for service can be inconvenience, so we do our best to provide you will a hassle-free experience. For your convenience, we offer appointment requests online and are available by phone at 919-249-5295. We look forward to taking care of you and your vehicle!